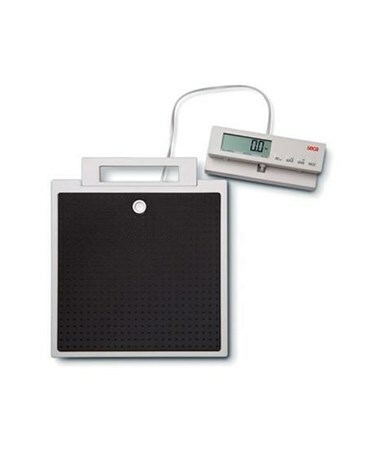 Seca 869 Mobile Floor Scale with Cable Remote Display is designed to provide maximum functional value and a truly flexible user experience. A few special properties ensure excellent Scale mobility, while a variety of smart functions allow a trouble-free weighting process of different patient groups, from adults to small children. 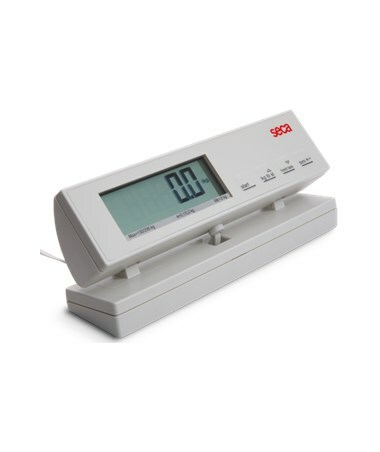 The 869 Seca Scale is widely used as a stationary unit, however its mobile properties give all the needed flexibility to use the Scale anytime, anywhere. Extra durable, yet a truly light construction ensure unit light weight of only 9.9 lbs/ 4.5 kg. In addition, such design elements as a built-in carrying handle, on-battery operation and a large leveling base provide an exceptional ease of transportation and allow the use in remote locations on many types of surfaces. 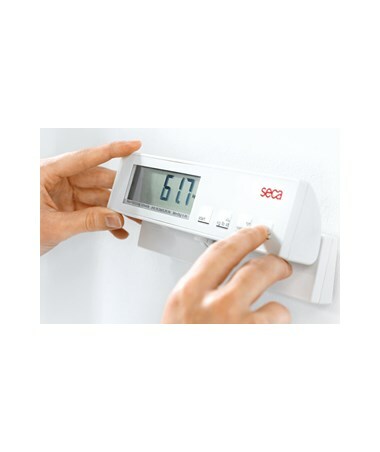 The 869 Scale model consists of two units that are a weighting platform and a remote display with advanced, extra-convenient design. The display is equipped with 6.5 ft/ 2 m cable and can be used while mounted to a wall, placed on a desk or any other surface. Large LCD screen displays readings in 0.75 inch-high digital numbers. It’s base is adjustable allowing to angle the display unit for optimal visibility. The display unit comprises a self-explanatory keyboard that allows an efficient device operation. 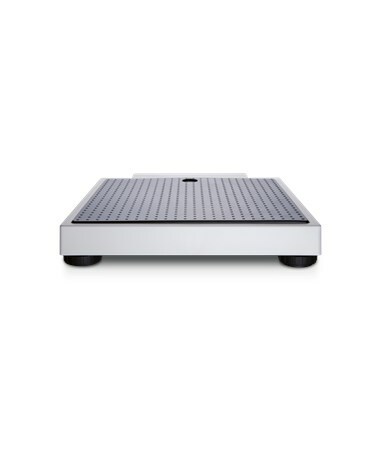 The 869 Mobile Floor Scale provides a generous 550 lbs/ 250 kg weight capacity with fine graduation of 0.2 lbs < 330 lbs > 0.5 lbs / 100 g < 150 kg > 200 g allowing precise weight progress monitoring. A built-in BMI function provides an efficient nutritional status monitoring. Easy weight Units Switch-Over function promotes flexibility. A Tare function allows weighting babies and small children while they are being help by an adult. The outstanding Auto-Hold feature really extends the functional versatility of the device. This function is fully automated and allows all the time you need to record the readings. 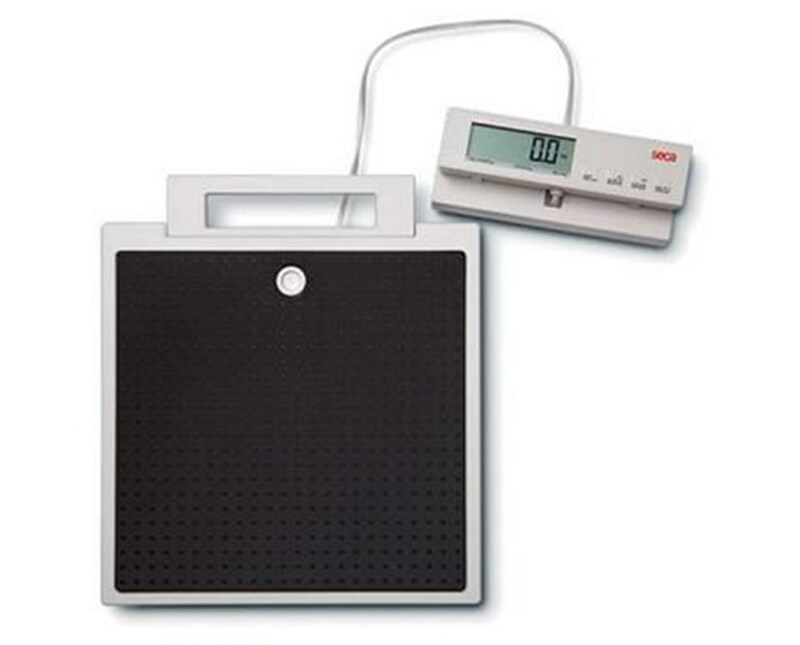 To top up all the functional benefits of the Scale, it comprises an automatic Switch-Off function that ensures a completely care-free user experience. To purchase 869 Floor Scale simply click “Add to Cart” and complete your online order in a few easy steps.